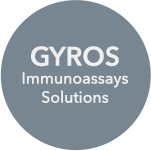 As of Jan 1, 2019, Gyros Protein Technologies is no longer distributing the iLite Cell-based Assay product lines, manufactured by Svar Life Sciences, Malmö, Sweden. For further information regarding iLite Cell-based Assays please visit www.svarlifescience.com. For enquiries and ordering of iLite cell-based assay products, please contact your local representative from Svar Life Sciences.